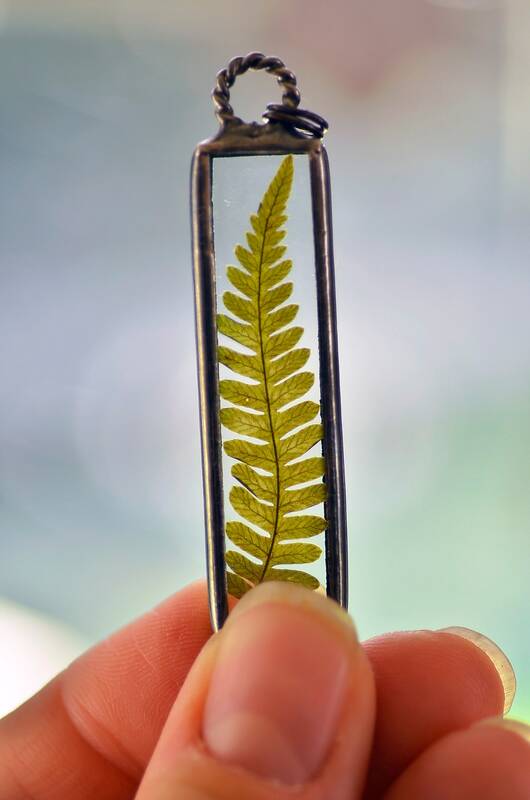 A real fern pressed between two pieces of glass and sealed with lead free solder. 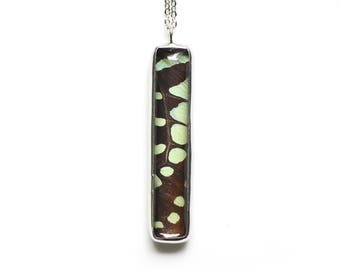 Pendant measures 2" tall by 0.5" across and comes with your choice of chain length. 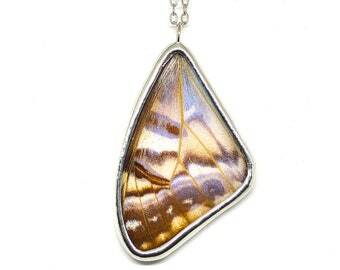 I have oxidized the metals to black to give this piece and old antique feel. 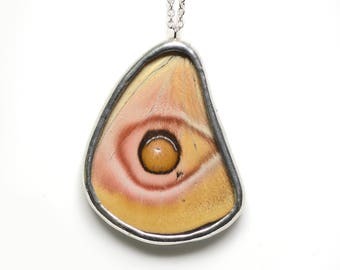 Pendant is shown modeled on a 32" chain. Perfect, my wife loved it! Shipped so quick and looks lovely! Thanks so much!